Lawyers for Saskatchewan and its allies warn that Ottawa's justification for imposing a carbon price on consumers will erode provincial sovereignty under the Constitution. "Giving Canada this degree of regulatory authority over (greenhouse gas emissions) will result in the limitless, intrusive federal regulatory capability over provincial affairs," William Gould, for New Brunswick's attorney general's office, an intervener in the case, said Wednesday. Saskatchewan's legal counsel opened a two-day Appeal Court hearing by arguing that the province's constitutional challenge of a federal carbon levy is not about climate change, but the divisions of power. "This is not a case about whether climate change is real or not," Mitch McAdam said. 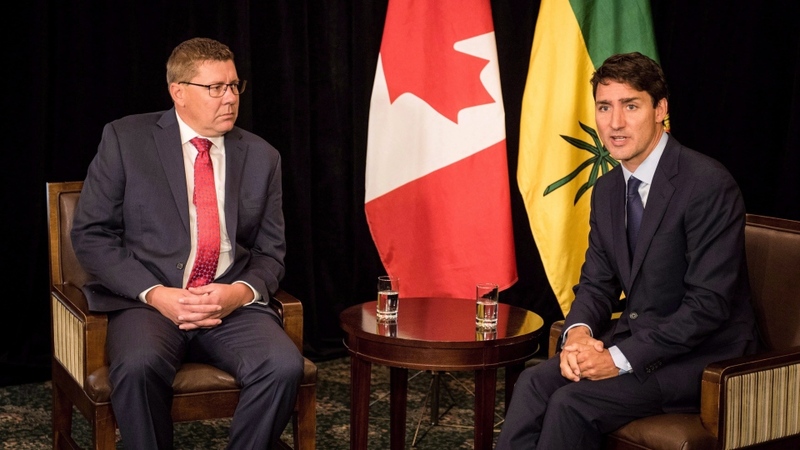 "The government of Saskatchewan is not made up of a bunch of climate change deniers." He said the question is whether provinces are "sovereign and autonomous within the areas of their jurisdiction" under the Constitution Act. "Or under our Constitution can the federal government step in whenever it thinks provinces aren't ... exercising their jurisdiction appropriately and act for them? "That's really what this case is about." "The fact that climate change is a serious issue does not override the Constitution." Ottawa's legal position is that climate change is a national concern and the federal government has the power to impose a carbon tax under the Constitution, which states laws can be made "for the peace, order and good government of Canada." Alan Jacobson, a lawyer for Saskatchewan, argued that Ottawa does not meet the constitutional test to use the rationale of a "national concern." "How does an Ottawa policy turn into a national concern?" he asked. Jacobson said "of peace, order and good government of Canada" has sweeping implications and should be approached by the court with caution. "It's radical and intrusive. It's absolute and exclusive," he said. "It wishes to displace provincial space that today exists over these areas." "Ottawa is not a big brother jurisdiction over the provinces even when it makes international commitments." "I would put this case on a short list of important federalism decisions that courts have grappled with," Adams said.